Nutritious, delicious Bumpboosters Cookies are the perfect lifestyle choice for you. Eat Right. Eat Regularly. Eat Real. Eat Delicious. 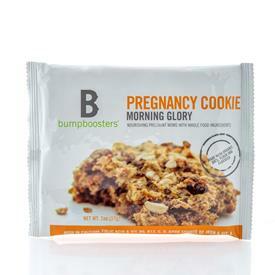 Bumpboosters Pregnancy Cookies are a delicious snack made with organic, natural, real food ingredients that are packed with the proteins, carbohydrates, vitamins, minerals, and healthy fats a mom-to-be should be munching on (and no preservatives!). Plus, we've added a custom-blend of vitamins and minerals that help pregnant moms get the added nutrition they need now. Nutritious - with a custom blend of vitamins and minerals. 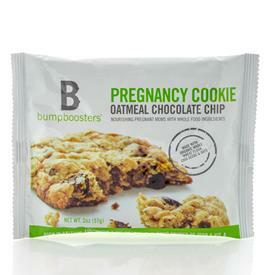 We supply Bumpboosters cookies to hospitals, supermarkets, professionals, and moms. And, we stand behind the quality of our cookies 100%. If you’re not delighted with them, let us know. Key ingredients include chia seeds, wheat germ, pumpkin, and whole grain. Bumpboosters Cookies are baked in small batches to ensure that you receive fresh, delicious, gourmet-quality pregnancy cookies. Natural and preservative free, made with organic ingredients. View our ingredients and nutrition panel. Reordering is easy (or sign up for a subscription). Each cookie comes in quality packaging with one-year shelf life. Store in the freezer to extend freshness, they'll soften up after just a few minutes when you take them out. Eat one to two delicious pregnancy cookies every day. They're a healthy snack option. Grab & Go Bakery Boxes contain 12 individually wrapped pregnancy cookies. Tuck a cookie in your bag and you're ready for your busy day. This crispy, nutritious cookie is sweet, savory, cinnamon, and clove...and it’s a healthy snack for mom-to-be. Molasses is nutrient rich and high in iron. Ginger is a traditional remedy used to treat nausea. This crispy, nutritious cookie has deeply satisfying flavor - deep tones with a ginger snap. A healthy snack for mom-to-be. This crispy, nutritious cookie is chock-full of semi-sweet chocolate chunks and oatmeal...and it’s a healthy snack for mom-to-be. 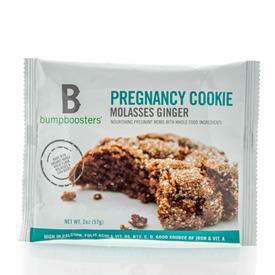 Bumpboosters' Pregnancy Cookies are so good! I wish I had known about these through my extremely difficult morning sickness' with my pregnancies. I love that they contain ginger which is such a great stomach aid when it comes to morning sickness. They also contain whole grains which is both filling and very nutritional. They are also made with organic ingredients which is so important, especially for expecting mothers. I'm not a huge fan of chia seeds but I really liked them in these cookies and think they work really well. My favorite Bumpboosters' cookie is their Morning Glory cookie. I love the raisins, the perfect amount of crunchiness and it's pure clean healthy taste. My favorite way to eat these is with a glass of milk. They are all very yummy and contain vitamins and minerals to help expecting mothers meet the nutritional needs of their bodies as well as their growing babies. I highly recommend these cookies for any expecting mothers! Follow Bumpboosters on social media! What an interesting concept. I like how they are healthy and look delicious at the same time. Eating healthy while pregnant is so tough! These cookies look super delicious! I craved sweets with both of mine, and I wish I had known about these a few months ago! The oatmeal chocolate chip cookies sound really good and and what a great idea to have them specially cater to pregnant women. I LOVE seeing all of the products coming out for new/expecting mamas. Pregnancy and motherhood is HARD, so it's nice to have things that make it easier! Where were these when I was pregnant? : ) These look delicious and I love all these new mom products. These look yummy! Wish they were around when I was pregnant! Wow they are making great strides to provide nutrition for mommie 2 B. These are awesome! I will have to get some next time I am pregnant! I so wish they had all of these choices when I had kids! These look really good! The molasses ginger cookie sounds like the one that I'd like the most! These look great for pregnancy. I love that they are all geared towards helping with pregnancy side effects! Ha! Whoever came up with the name 'BumpBoosters' needs a pat on the back. I think that is such a clever name for a product like this. Molasses Ginger sounds like it would be tasty! These look like a great snack for expecting mamas. Bet they taste good too.